Treatment Tables come in all types and sizes. The differences between them can ultimately determine whether or not the table is right for the patient. The AM-BA350 Treating Table is designed for transporting patients quickly and easily. It can do so effectively thanks to its mobile design and support frame, which is able to carry up to 400 pounds. The Treating Table's three-piece adjustable design means it can contour to all parts of the body. The facial opening allows for easy breathing if a patient needs to be facing-down. 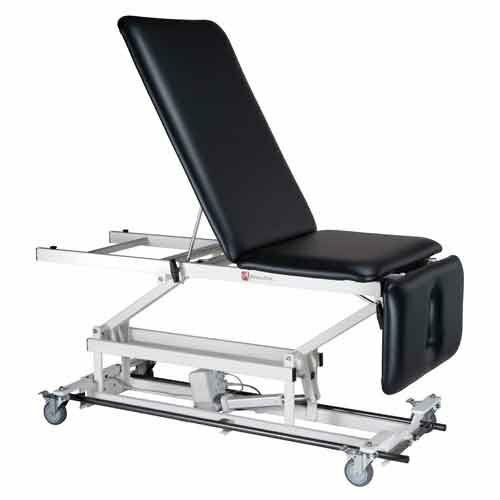 The Hi-Lo control means the height of the table can be moved around, while also allowing instant access to the patient for any immediate assistance. Since access to the patient is key in situations, the all-around table means medical professionals are able to quickly and easily access the patient.